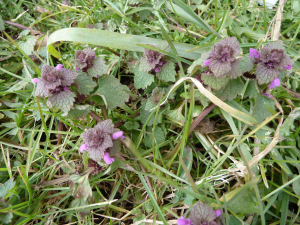 Observation - Red dead-nettle - UK and Ireland. Description: On grass verge on busy road. On grass verge on busy road.